Sometimes, a traditional chicken dinner is exactly what you’re craving — something with a nice slab of baked chicken with a standard side dish like mashed potatoes. But sometimes, you need something that’s willing to color outside the lines a bit. 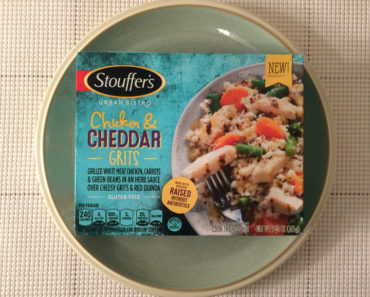 The Stouffer’s Honey Chipotle Chicken is the latter type of meal, and today we’re excited to see how it tastes. But first, let’s talk about cooking this sucker. 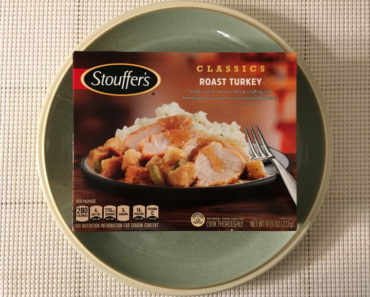 If you want to bake this in the oven, you can, and there are instructions on the box for that (you can see those at the bottom of this article). It takes almost 40 minutes, though, so we went with the microwave instructions instead. 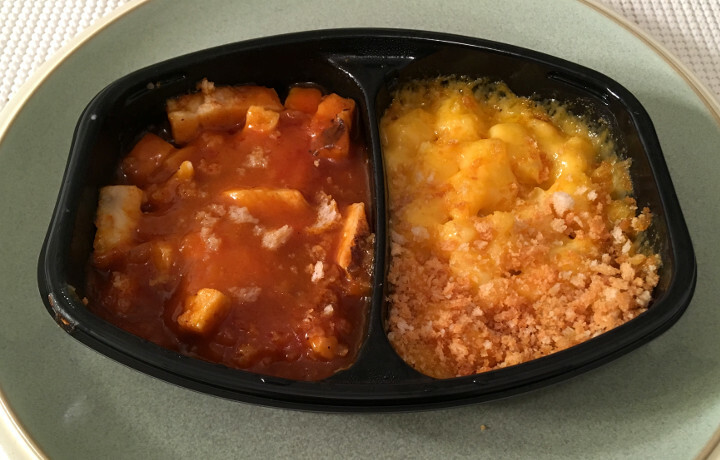 We peeled back the plastic from the potato portion of this dish, then popped the meal into the microwave for six minutes. 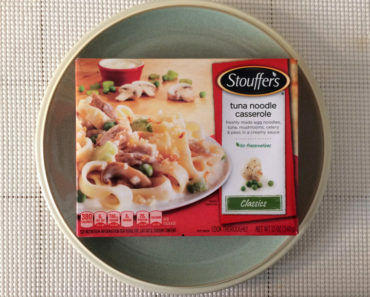 We often complain about how long Stouffer’s meals take to cook, but we’re not going to do that here. 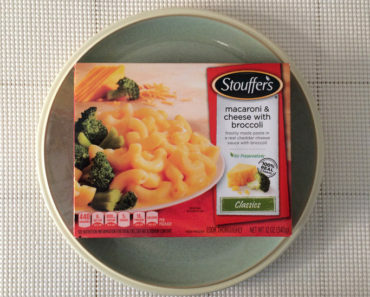 Six minutes is actually rather speedy for a Stouffer’s dish. Now, the tray has a divider built into it to keep the chicken separated from the potatoes, but that doesn’t stop the bread crumbles from leaping the barrier and mingling with the chicken content, as you can see in our picture below. The chicken portion ends up being a little bit dry. Thankfully, it comes doused in chipotle barbeque sauce, which alleviates that problem a bit. This sauce also tastes pretty darn good. The barbeque flavor is sort of muted here, and there’s a nice spice level to this. Fans of extremely spicy food won’t think this is very spicy, but your average joe will probably notice a nice bite to this. Rather than a traditional side, like the mashed potatoes we mentioned in the opening paragraph, this actually has a cheddar potato bake as its side. We find this to be an excellent choice. The cheddar cheese sauce has a little bit of a mac and cheese vibe, and the bread crumbles make this feel a little fancier than your average side. Of course, we would have liked just a bit more of the cheese sauce, as the potatoes dominate the flavor of this side dish. 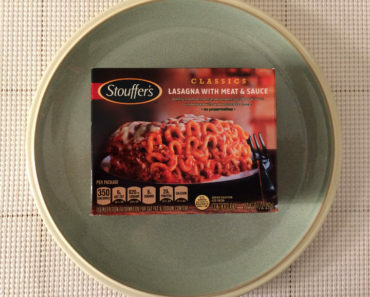 We think the potato-based side is similar to Stouffer’s Cheddar Potato Bake, but this side does not include bacon. Since this dish is much, much lower in calories than the Cheddar Potato Bake, we’re going to assume that this side dish uses less cheese than the bake does, though we can’t say for certain. This meal contains 350 calories (130 from fat), which isn’t too bad, though it brings this just slightly out of the range of what we’d consider to be a diet-friendly meal. It also contains 780 mg of sodium, which is a bit higher than average for a frozen meal. That’s kind of a lot of sodium. 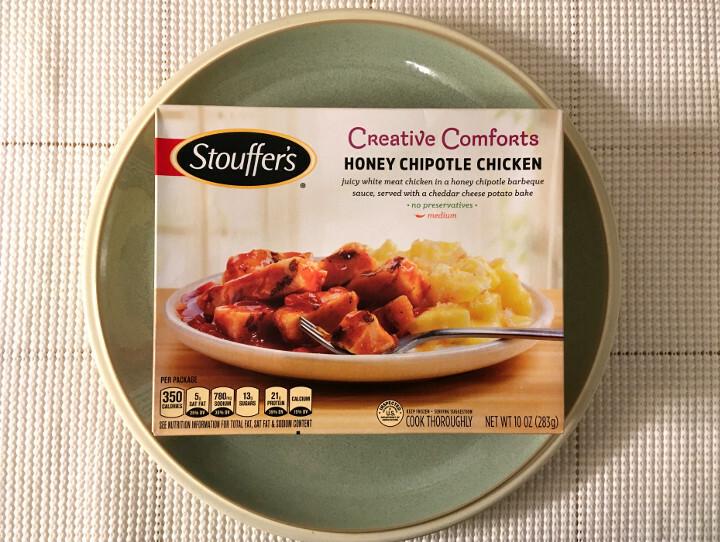 The Stouffer’s Honey Chipotle Chicken is a nice little dinner for those looking for a creative twist on a classic meal. While it’s certainly not a perfect dish, it is a pretty tasty one nonetheless. 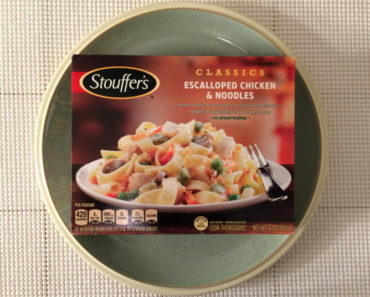 To learn more about the cooking instructions, nutrition content, or ingredients in this Stouffer’s frozen chicken dinner, check out our package scans below.